Gio and I decided to take our love of food and turn it into a show. 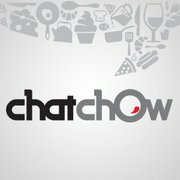 Launched on April 13th, 2011, Chat Chow TV™ is a mouth-watering new video podcast where we go behind the scenes with the chefs, owners and mixologists of South Florida’s celebrated food industry. Hosted by moi, the show consists of 6-8 minute episodes each individually highlighting our favorite food personalities. Watch us here online, or as an iTunes podcast, YouTube or Vimeo. Please join our Facebook community as well! And of course, we’re on Twitter. This is cool. You have become such a celebrity. You look great on camera. Congratulations!